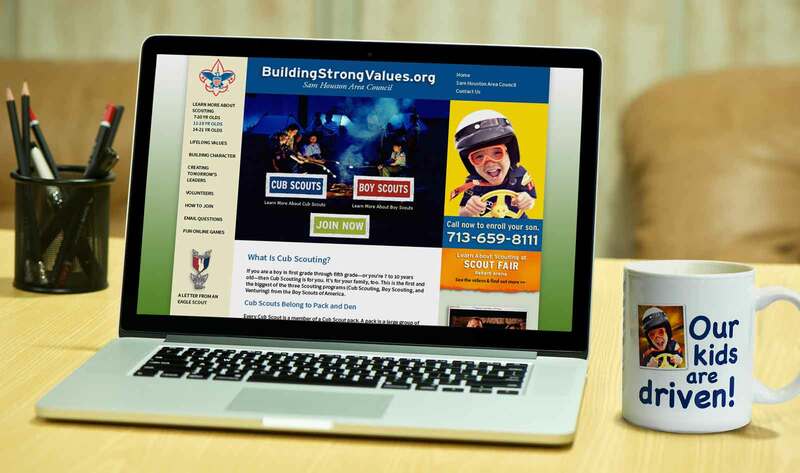 The local Boy Scout council, Sam Houston Area Council (SHAC) had experienced a decrease in membership over the last five years and needed a campaign to boost recruitment. 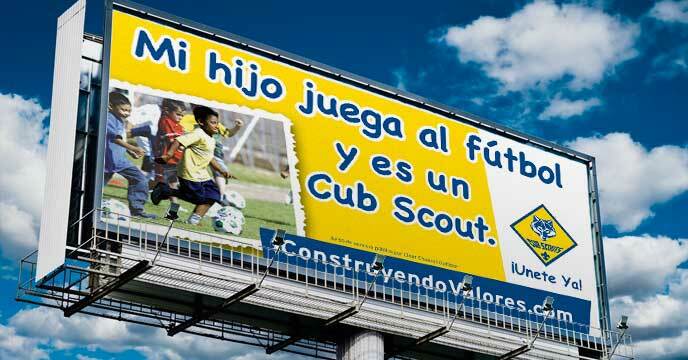 We identified two audiences, boys age 6-10, and parents of those potential Cub Scouts. Parallel messages were developed for both audiences. 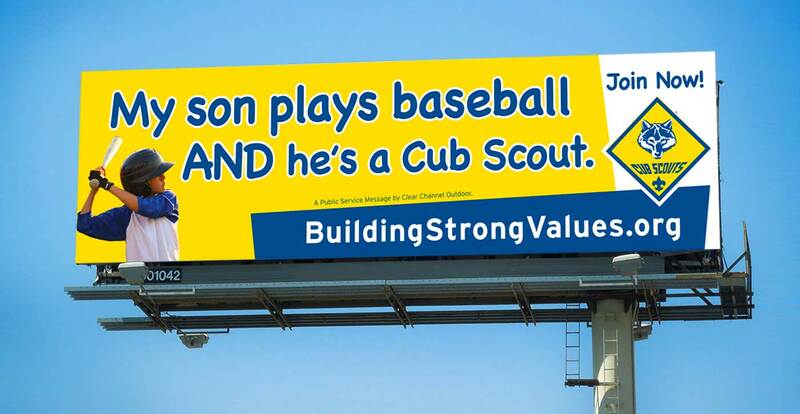 The goals were to increase recruitment and enhance the perception of the Boy Scouts showing relevance to today’s market and current family values. 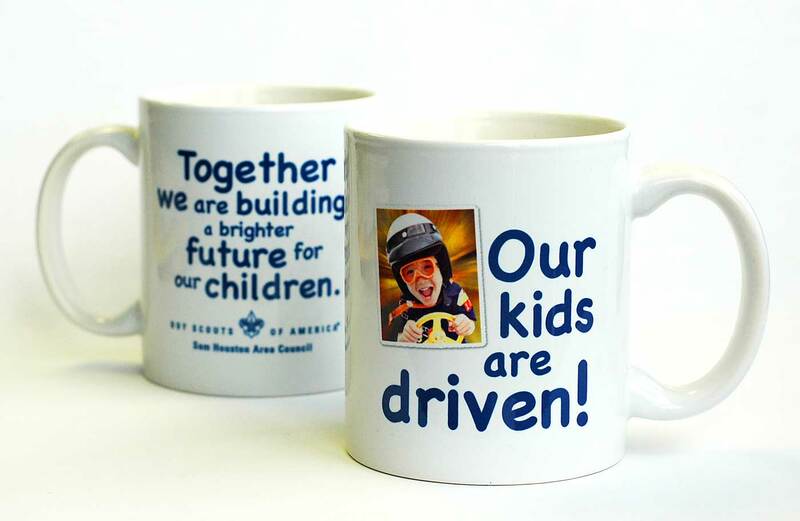 The campaign had to support the “School Night to Join Scouting” campaign that only happened during September each year. The media window was short, from August 15 – September 15, requiring all components to be clear, consistent and relevant to the target audience groups. An integrated campaign was developed that included TV, radio, online ads, outdoor, direct mail, posters, flyers, promo items, and yard signs. I was responsible for all design elements, art direction, creative direction and worked with my partner, Mark Hayden for message development and media planning. All materials, including the website were produced in both English and Spanish. 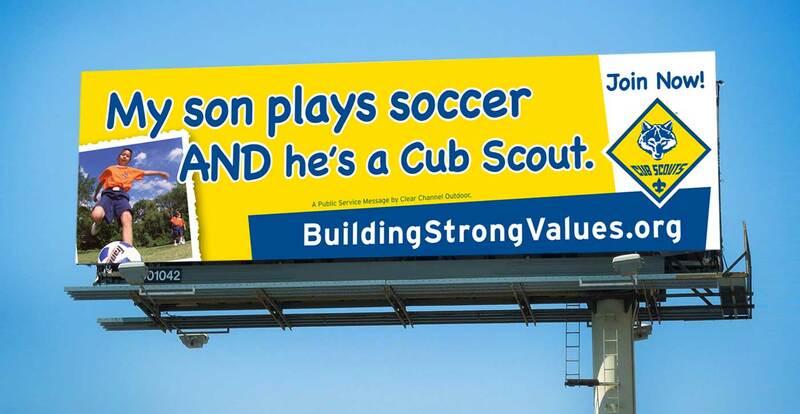 To target the boys, creative was developed showing boys involved in other activities, but messages promoted the fact that they are also Cub Scouts. 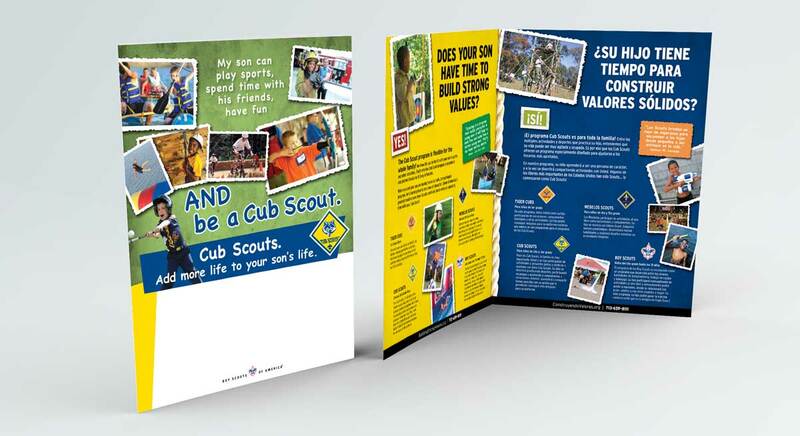 Images showed Cub Scouts involved in similar activities, laughing, smiling and having fun. Materials were distributed to all school districts and Cub Scout packs in the greater Houston area. Testimonials were used to target parents with broadcast TV and radio. Who best to show relevancy to the values of the program than those who were the direct recipients of the positive results. A talent call for real Cub Scouts and their parents went out and after interviewing close to 50 families, five were picked for the shoot. The kids and parents came in for the real shoot and were told they would just need to be open and honest about their Scouting experiences. Mark Hayden sat in front of the Scouts and their parents, and had a conversation with them. What you see in the TV spots is unscripted honest dialog from the people that are the beneficiaries of the Boy Scout program — parents and kids — that appreciate the values and life lessons learned by both child and parent. 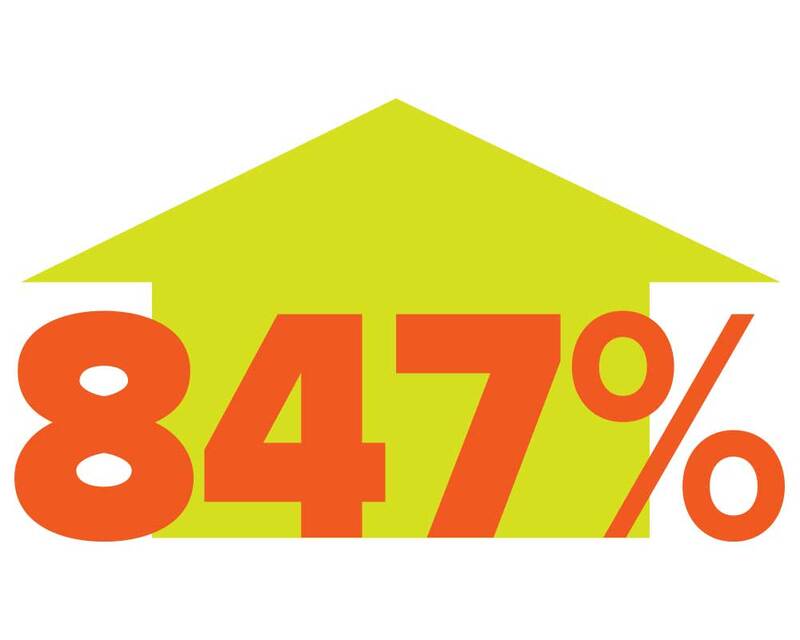 Traffic to the website jumped 847% during the 30 day media campaign. 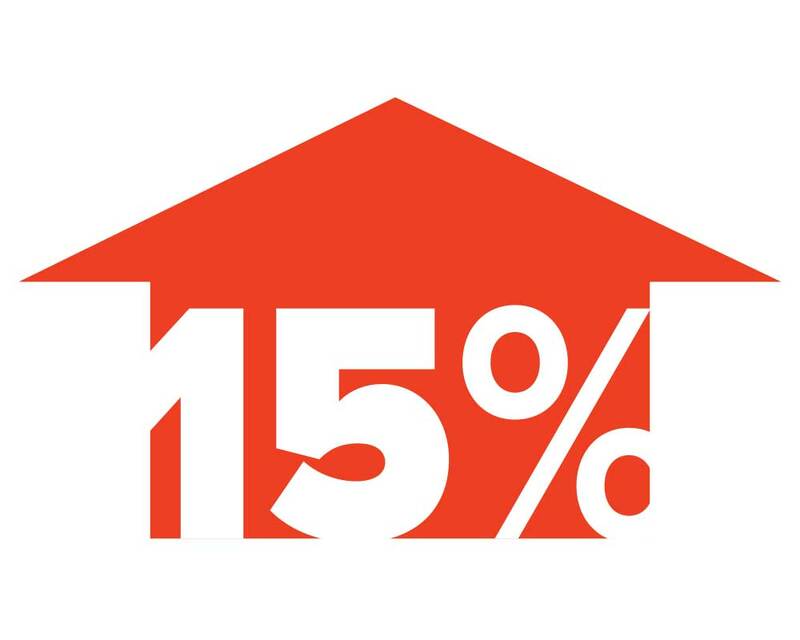 Response to the campaign was record-breaking for SHAC and membership grew 15% over the previous year.